The Mistborn trilogy has become a firm favourite with fantasy fans the world over. 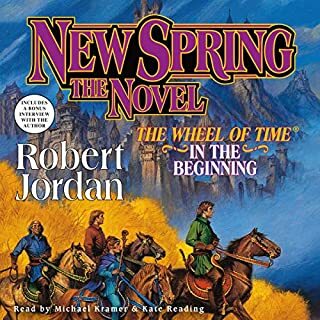 The imagination that Sanderson brought to the series and his skill at marshalling epic storylines and dramatic action, plus his ability to create vivid characters, made him a natural choice to complete Robert Jordan's epic Wheel of Time sequence. 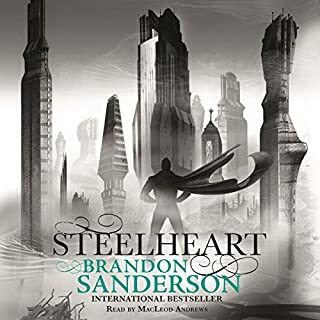 But with Mistborn, his stand-alone fantasies, and his new series, The Stormlight Archive, Sanderson has shown his bountiful talents in his own fiction. Now he returns to the series that made his name with a new story set years after the events of Hero of Ages. 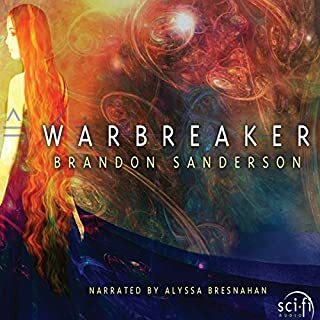 Sanderson has the knack of giving epic fantasy listeners exactly what they want. This ability has thrown him to the forefront of the genre and the dramatic story within The Alloy of Law shows off this skill to its very best. I thoroughly enjoyed this book. I am a massive Sanderson fan - both Stormlight archive and Mistborn trilogy rank amongst my best ever fantasy reads. Warning, though - don't expect a book with the same depth or intensity as the epic trilogy. This book is SO much lighter, and a bit swash-buckling-wild-west in its feel (the Wax-Wayne relationship and dialogue is reminiscent of a good Mel Gibson - Danny Glover moment) . 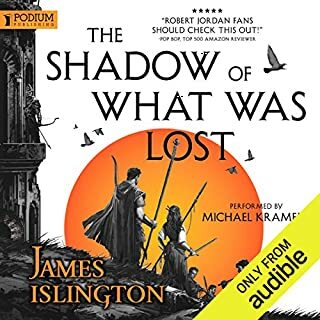 I had a good few laugh-out-louds (something that didn't happen in Mistborn) and as with all previous Sanderson stories, I couldn't put this down (or switch it off). 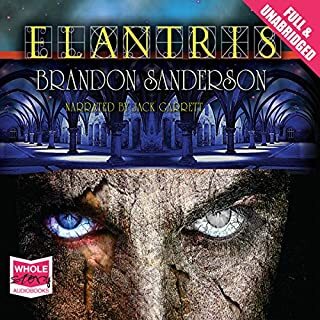 It retains its fantasy & magic with the Allomancy and Ferochemy, and is still true to the Mistborn trilogy on this front. Like other reviewers, my only criticism is its length - it's not long enough. It's no shorter than most regular novels out there, it's just that one wants more!!!! 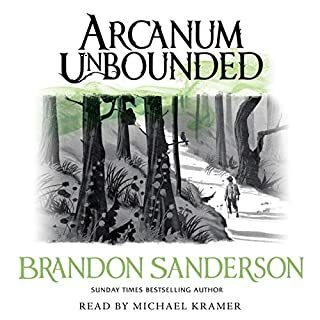 Sanderson usually provides an epic that runs through around 30hours of listening (at least) - well this is only about 10 hours.....so by contrast one feels a little short-changed. This book finishes with loads of loose ends - thereby leaving the way open for another instalment??? (Ever hopeful!). Wax is a delicious lead character, and I can't help but think this story would translate well to the big screen - but who would play Wax? Michael Kramer's narration is first rate -as always. Brandon Sanderson created a world in the original Mistborn series that had you believing it was real, or at least on the edge of possibility. Where magic combined itself into what almost seemed like a piece of history you had maybe read about before. 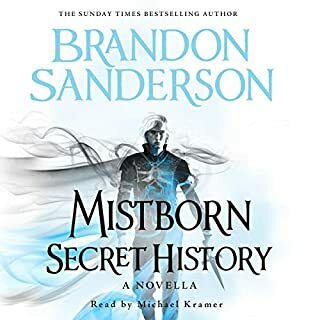 The "Mistborn" have powers that seemed to fit well into those times gone by, as we are all used to stories of myth and magic coming from the past darker ages. Now he has pulled off something I didn't think would work, he's brought the same powers and magic kicking and screaming into modern day. With "The Alloy of Law" you are again left feeling this is almost possible, in fact you will end up hoping that its true and just waiting to be proved. If you enjoyed the first books of the series then this will take you off on a tangent that allows you back into the world again. One last thing I should mention, the depth of characterisation by the narrator is second to none. You hear many different voices and accents, and the characters grow on you as if you know them. Between the writing and the reading of this book, you get the best of the best when it comes to an audible book ! 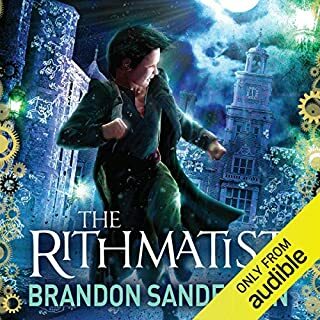 If you haven't read/listened to the first Mistborn books you should, but you can still listen to this book and understand what is going on. There are some "recaps" on what its all about, you just won't have the full depth of the history that was the first books. 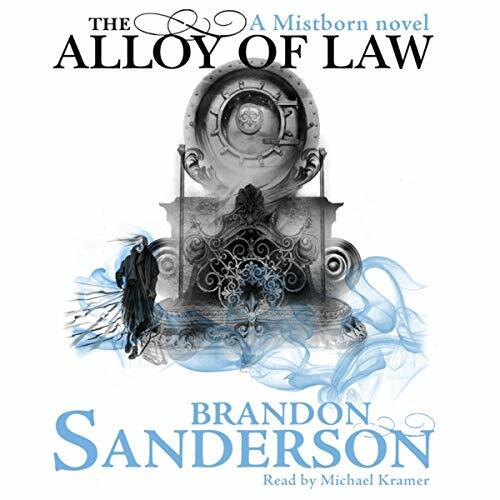 Where does The Alloy of Law: A Mistborn Novel rank among all the audiobooks you’ve listened to so far? Its good, but it doesn't quite come up to the Mistborn Trilogy. It is different and a shorter story but still exciting with the use of allomancy still the main feature. It also doesn't deal with some of the unanswered questions that occur from reading Hero of Ages and now reading this. What does Michael Kramer bring to the story that you wouldn’t experience if you had only read the book? His accents are amazing. Brings the characters to life with amusing accents. A good book and an exciting read. It has left the way for a second book as lots of loose ends to tie up yet! I am looking forward to the next instalment! Recommended for the Mistborn series lovers. Excellent book. I never thought a sequel to Mistborn in modern day era would turn out to be this good. Thanks for the excellent story and great performance! I have utterly enjoyed the Mistborn books and thus was really excited when starting this book. And although it is still all there, I can’t stop thinking that something is missing. Maybe it is the depth of the characters, maybe the proportions of the tale but it simply does not compare to the trilogy. Still I would recommend the book to everyone – it’s a good listen and Mr. Kramer’s performance is great as ever. 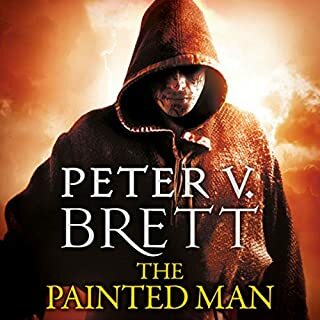 Set several hundred years after the Final Empire trilogy, this is a thoroughly entertaining story set in the same world. 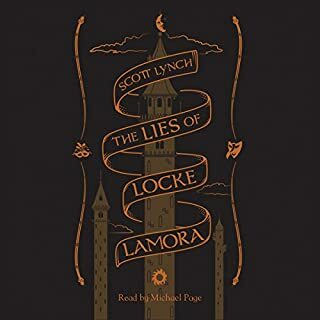 The tone is lighter and the there is much more humour than in the first trilogy, but the Allomancy is intriguing as ever and the plot keeps you riveted. This was a disappointment. More like an introduction to the mistborn universe as it is "now" and the characters. The story thrown in to justify it as its own novel is pretty bland. You just don't care about the story or the many fights which are very repetitious. Being limited in powers makes the fights predictable since they all will develop and end in the same way. Things finally get interesting in the epilog when the series story arch that has been hinted at is introduced. It is only audibles return policy that will make me begin the next installment. A bit lighter than the original trilogy – and I actually prefer it. The pace is a lot faster, and the world has been re-developed by making it hundreds of years later. This has a more western feel to it, with guns being used, and the Mistborn powers have also been re-established in a refreshingly new way. You can tell that Sanderson puts a lot of thought and planning into each of his novels, as there are never any loose ends or unnecessary scenes. There is plenty of action, comedy and mystery throughout, and you are left at the end wanting more. Luckily this is the start of a 2nd trilogy – and it has revitalised my love for Mistborn. Michael Kramer is a superb narrator, and one of the very best out there. I would be happy to purchase audiobooks based on his performance alone. Do not be put off by his Southern American accent. Each character has a subtly distinctive voice, and he portrays all of the emotions and atmospheres masterfully throughout. 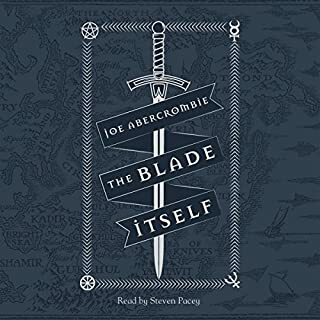 If you enjoyed his narration in the original trilogy, you will not be disappointed; he is consistently excellent in all of the audiobooks I have listened to him in. 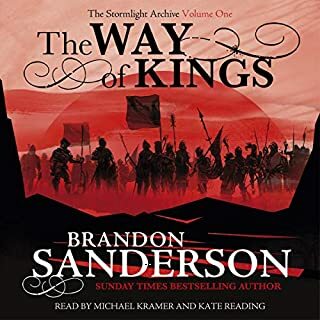 I was so excited when I saw this audiobook was available - I loved the Mistborn series and am eagerly awaiting the sequel to the Way of Kings (have just finished listening to it a second time, a year after I first listened to it). 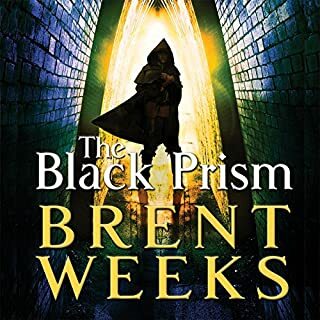 The Alloy of Law follows on from the Mistborn series and is set a few hundred years in the future. The story centers around a nobleman who turned his back on high society to become a lawkeeper in "the roughs". Years later, family obligation sees him return to the family home to become the head of the house, with the added responsibility of rectifying his house's financial problems. Meanwhile, noblewomen are being mysteriously abducted across the city and no-one knows why - he steps in to investigate. While the story is entertaining enough, I found it a bit, well, pretentious and a bit cheesy if I'm honest. A bit too much cliched posturing by the main character. In short I was disappointed! It simply doesn't have the same quality to it as the Mistborn series or The Way of Kings. Having said that, if you're looking for an entertaining, easy read then this book fits the bill. 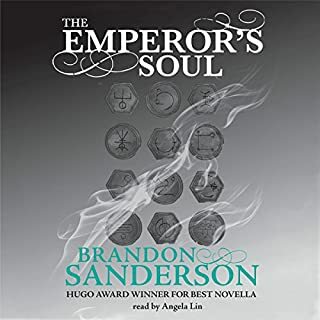 Another good book in the Mistborn series by Sanderson. Excellent narration by Michael Kramer helps to bring the characters to life (although I felt he had trouble with the half cockney, half Aussie accent of Wayne, but it was entertaining in any case). Whilst this novel is fundamentally a detective work and not my usual cup of tea, I did enjoy it tremendously. It's some few centuries on from the fall of the Final Empire: we have guns, trains, electricity, horseless carriages (well, I never!!!!) and new fangled machines. It's all reminiscent of 19th century England or North America as you so desire to envisage. 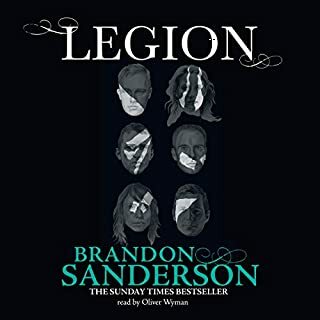 Sanderson provides a great setting and a well thought out plot. The characters aren't as powerful or versatile as the old true Mistborns, but within that constraint there's a lot of intricate and detailed use of the skills they have available which makes for interesting visualisations of how they achieve things. It's different, but still similar enough to what came before to keep it interesting. There are still some ties to the distant past giving a feeling of familiarity so one is totally disassociated from the original trilogy. 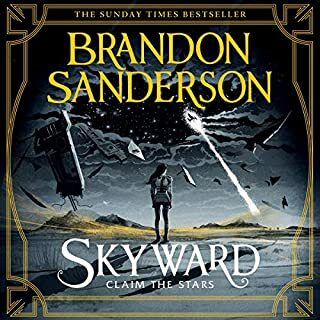 I fervently hope that Sanderson follows this novel up to get on with the unfinished business and tie up the loose ends that the end of the book leaves us at. There is certainly a full novel worth of material to do so. In short, if you're a fan of Sanderson and this genre, you'll like this book. I highly recommend it. Would you listen to The Alloy of Law: A Mistborn Novel again? Why? The second character, Wayne, has a way of impersonating people that relies heavily on accents (and hats). Honestly, simply reading it will not be as great an experience as hearing the narrator bring these rich accents to life. This goes on throughout the whole Mistborn 2nd Era trilogy. There are a few audio glitches in this version of the book. A bad one at character 12, 16 minutes in. The book itself is great however. Just get a different version. The plot had a few technical issues but, on the whole, a very enjoyable narrative. Great writer. This is an awesome story and definetly worth it! 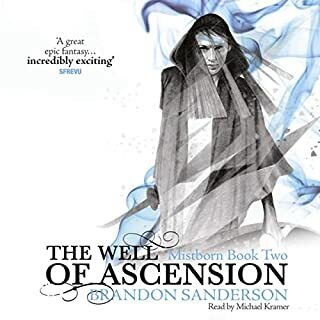 What made the experience of listening to The Alloy of Law: A Mistborn Novel the most enjoyable? 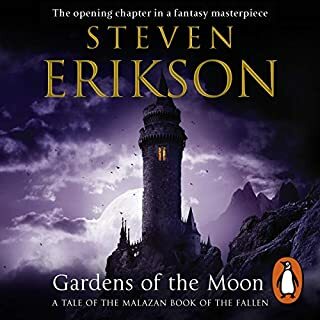 Sanderson's storytelling skills, along with his incredible imagination when it comes the powers / skills and there many uses that would never DREAM of! Wayne. His humor and personality make the whole book more fun. Michael Kramer is still the best Audiobook performance I know. Well worth a read. Not up to his usual standard, and more of a side story than his usual epic. If you read the previous mist born series then you will enjoy the revisit. I have already recommended this book to a friend of mine. What was one of the most memorable moments of The Alloy of Law: A Mistborn Novel? The book compares to all of the previous Mistborn novels. Although the setting is more modern and the characters are all new, I still get the same good feeling I got when reading the previous novels. Magical system works very well, the dialogue is interesting and fun, the pace of the novel is well balanced, good characters. Kramer is my favorite reader. He always performs well. It was indeed, it was hard to lay it aside. It's too short! I would be surprised if this was the last book in this series. Mistborn on a steam train! No. It's worth a good listen, but not a repeat listen. However, some will enjoy a repeat just to listen to Wayne's jokes. Wayne was the most fun character in Brandon Sanderson's books - period! Too many of Brandon's characters are straight good, bad or definedly mixed. Wayne, however, provided comic relief which should be encouraged in all heavy set novels. Yes. Although I was pining for return of characters from the original Mistborn series.